Contains an extended excerpt from The Gilded Wolves. From New York Times bestselling author, Roshani Chokshi, comes Star-Touched Stories: a fantasy collection of three lush and adventurous stories set in the Star-Touched world. He was Lord of Death, cursed never to love. She was Night incarnate, destined to stay alone. After a chance meeting, they wonder if, perhaps, they could be meant for more. But danger crouches in their paths, and the choices they make will set them on a journey that will span lifetimes. Now that her wish for a choice has come true, Aasha struggles to control her powers. But when an opportunity to help Queen Gauri and King Vikram's new reign presents itself, she is thrown into the path of the fearsome yet enchanting Spy Mistress. To help her friends, Aasha will have to battle her insecurities and perhaps, along the way, find love. There is a tale whispered in the dark of the Empire of Bharat-Jain. A tale of a bride who loses her bridegroom on the eve of her wedding. But is it a tale or a truth? I stood outside the home, watching as the light beaded and dripped down the length of the Tapestry thread. I waited. There was never any rush. Not for me at least. 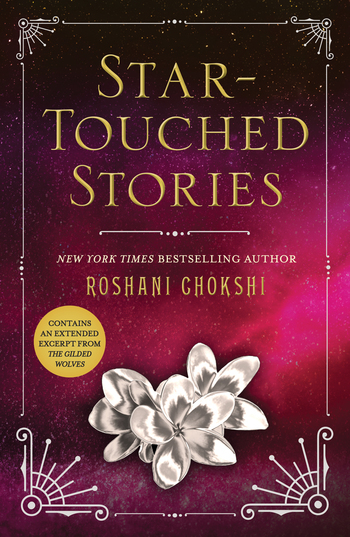 Roshani Chokshi is the New York Times bestselling author of The Star-Touched Queen. Her work has appeared in Strange Horizons, Shimmer, and Book Smugglers. Her short story, "The Star Maiden," was longlisted for the British Fantasy Science Award.